Terri Provencal of Provencal Consulting and Maxine Trowbridge of PinkMemo, co-chaired the annual ‘Night of Stars’ award gala, presented by Fashion Group International of Dallas on Friday, November 18th at the Dallas Market Center, The Grand Pavilion at the Trade Mart. 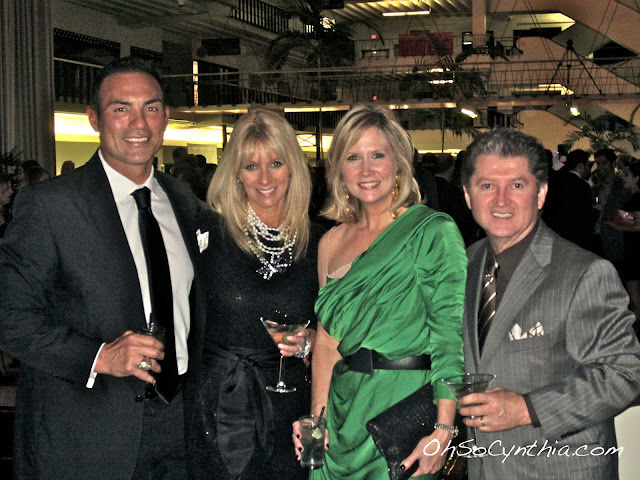 The 2011 A Night of Stars paid special tribute in honor of Shelly Musselman the Founder of Forty Five Ten. The runway show was produced by Jan Strimple and featured an opening selection from the Shirin Askari Fall 2011 Collection, with a grand finale carefully curated by co-founder of Forty Five Ten, Brian Bolke, presenting rare museum-worthy pieces from Ms. Musselman’s closet. Dancing to the tunes from D.J. Lucy Wrubel—this year’s philanthropic Fashion Police, include eight individuals who strutted their stuff on the runway, in recognition of their individual contributions to the FGI Dallas scholarship fund. My dates for the evening were LeeAnne Locken and Steve Kemble - two of the most fun and outrageous people I know! My stomach hurt at the end of the night from laughing so much! I was lucky enough to sit at the table of my friends, Rick and Janet Fresquez, to cheer on their son Jarrod as he grooved down the runway as one of this year's Fashion Police. 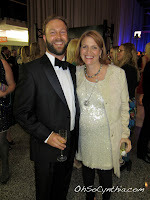 As we were walking into the gala, we encountered a camera crew there to film an episode of Big Rich Texas. They were about to shoot cast members, Connie Dieb and Melissa Poe, walking into the event. They asked me, Steve Kemble and Janet Fresquez if we would trail behind them as they entered. Of course, we happily complied. We will see if that actually makes it into the episode! 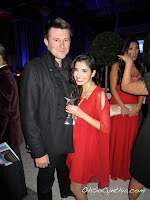 The FGI Night of Stars Gala is always one of my favorite events. 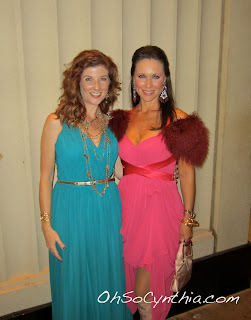 Anytime you are attending a fashion industry event, the ladies are guaranteed to turn it out! This year's party was no exception. Special thanks to Watters for putting me in such a gorgeous gown, to Uptown Consignment for letting me wear a vintage mink stole and to SWAG for loaning me amazing jewelry from Virgins, Saints & Angels. I felt like a Grecian goddess! Career Achievement Award in Photography: Tim Boole - Fashion Photographer. Fashion Design: Shirin Askari – Designer of Shirin Askari. Jewelry Design: Elizabeth Showers – Founder of Elizabeth Showers Jewelry. Beauty: D’Andra Simmons – Founder Hard Night Good Morning Skin Care. 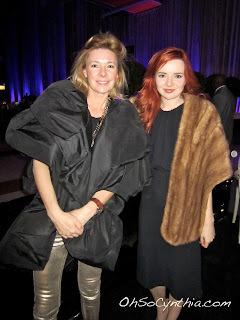 Fashion Communication: Jane Aldridge – Founder of SeaofShoes.com Blog. Retail: Carley Seale – Founder of The Gypsy Wagon. Cathy Williamson, Jarrod Fresquez, Mina Chang, Pamela Martin Duarte, Sarah Blacketer, Scott Kehn, Suraj Jagannathan, Susan Posnick. The Fashion Group International is a global, non-profit, professional organization with 5000 members in the fashion industry including apparel, accessories, beauty and home. The FGI mission is to be the pre-eminent authority on the business of fashion and design and to help its members become more effective in their careers. To do this, FGI provides insights on major trends in person, online and in print; access to business professionals and a gateway to the influence fashion plays in the marketplace.